Denise Wilson is our in-office esthetician. 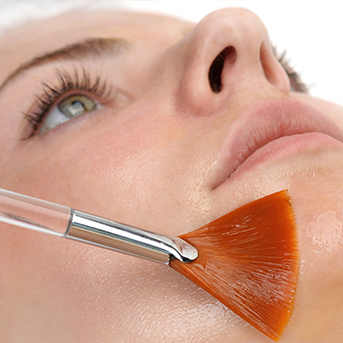 She specializes in Facial Lasering, Laser Hair Removal, Liposonix, and Chemical Peels. Denise has years of experience in her field of expertise. 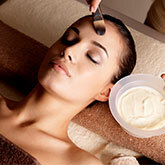 Our esthetician provides high quality of services. Below you will find a list of each service she provides as well as a description. Micro Needling is a method of introducing a controlled wound into the skin triggering a release of natural growth factors, new collagen & elastin. This process causes much less damage to the epidermis than dermal rolling or lasers and other ablative treatments, which helps to protect the new skin cell growth providing for quicker healing, higher success rate and longer lasting results. 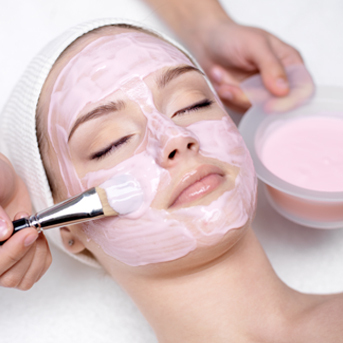 Denise offers several other traditional peels including Glycolic, Lactic, Salicylic, Pumpkin, and Mango. This peel provides an immediate “glow” to your skin. It exfoliates the dead cells from your skin similar to the way microdermabrasion works. The Illuminize Peel is perfect for those who do not have the time for peeling but would like something more forward than a facial. This peel is mild but the result provides a quick glow without downtime or peeling. 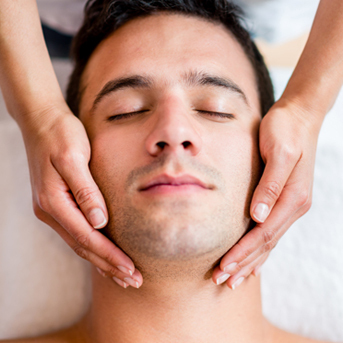 This type of facial uses the same procedures that are used for skin treatments for the face. A back facial will clear your skin of clogged pores and acne while providing a healthy and smooth back using a deep moisturizing treatment. Denise targets specific skin issues on the back for both male and female clients. This procedure requires three steps which are dermaplaning, chemical peeling, and cryogenic therapy which minimize fine lines in the skin, laxity, skin imperfections, wrinkles, laxity, and dullness. Micropeels help reduce oil, refine pore size, control breakouts, improve skin, diminish lines and wrinkles, and revitalize your skin by decongesting pores. No one likes the hassle of shaving or the painful experience of waxing unwanted hair which crops up on our bodies. This nuisance can be eliminated by laser hair removal. 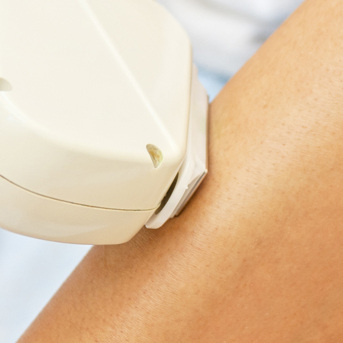 Laser hair removal is one of the more common cosmetic laser treatment and our esthetician uses state-of-the-art systems to provide a near pain-free procedure. Their procedures often meet the goals of their patients in fewer treatments! The areas that are treated include underarms, legs, lip, backs, full face, chin, underarms, bikini, and more. 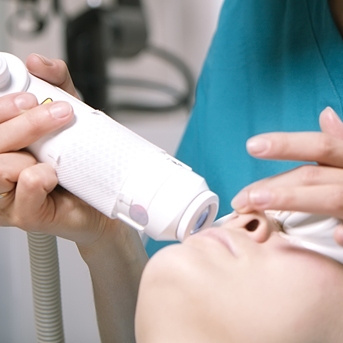 This laser will remove fine lines and wrinkles around the mouth and under the eyes, improve scars and tighten skin. It’s an effective tool used to improve skin after acne scarring and will also improve overall skin quality. 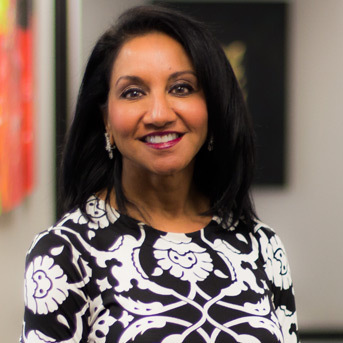 As a diamond provider of Botox® and Juvederm®, Dr. Madhavi Kandula uses a skilled hand and an artistic eye to achieve natural results. The diamond provider designation places her in the top one percent of all injectors nationwide. She is also a high volume injector of Belotero® and Restylane Silk®. 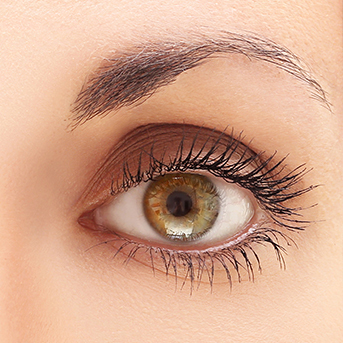 Treatments such as Ultherapy® also help restore a youthful look without surgical intervention and the combination of treatments can provide remarkable results for patients.